The Firestone Tire and Rubber Company was incorporated in 1900 for the sale of the solid rubber tyres then in use. Shortly afterwards the company started to manufacture tyres itself and to grow parallel to the rapidly expanding motor-car industry. In 1923 Firestone brought out the balloon or low-pressure tyre, and soon afterwards created vast plantations of rubber trees in Liberia. During World War II the company extended its activities into the manufacture of synthetic rubber, tanks, trucks, aircraft wings, Bofors anti-aircraft guns, etc. In 1943 Firestone absorbed G and A Aircraft of Pitcairn Field, Willow Grove, formerly known as the AGA Aviation Corporation which in 1940 took over the Pitcairn Autogiro Company's contracts. These included the CG-4A, a troop-carrying glider, and the XO-61, a pusher-type autogyro. Between 1943 and 1945 the G and A was modified and developed into a dual tandem helicopter, the XR-9B. Conceived in 1943, this small liaison helicopter was completed in 1944 with co-operation from the Army Air Force's Air Technical Service Command. The main rotor had three blades (and a fixed-type head); the tail rotor was 1.98 metres in diameter. The prototype incorporated an experimental electro-hydraulic governor, which by acting on the simultaneous pitch control maintained a constant predetermined rotor speed, irrespective of the power used. With automatic assistance from this governor, the pilot could rise or descend vertically just by using his throttle. The helicopter was made of welded steel tube covered with an alloy skin, while the tail boom had a balsa-wood core covered with alcad. For storage purposes this helicopter could be broken down into three parts: rotor blades, fuselage and boom assembly. The Firestone Aircraft Company of Akron, Ohio was a subsidiary of the Firestone Tyre and Rubber Company which took over rights to a number of the Pitcairn Autogyro Company designs via an acquisition of G&A Aircraft of Chicago in 1944. 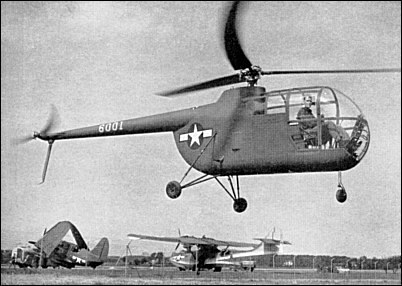 G&A Aircraft had previously built six examples of the XO-61 two-seat gyroplane for the U.S. Army. This experience was applied to the design of a new helicopter for the U.S. Army, designated Model 45. 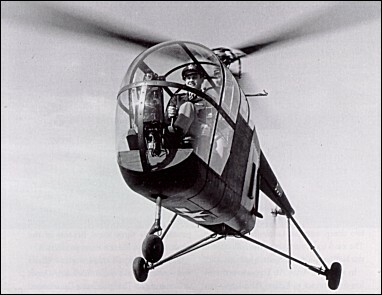 The Model 45 was a conventional pod and boom helicopter with tandem seating, a fixed tricycle undercarriage and a three-blade main rotor. The original Model 45B design used a 126hp XO-290-5 engine and the Model 45C (military XR-9A) was a development with a two-blade rotor. However, neither of these was actually built and the prototype (which carried the identity 6001) was designated XR-9B and was fitted with a 135hp Lycoming O-290-5 engine. Firestone also built a civil version, the Model 45D (NX58457), with side-by-side seating but development of helicopters was abandoned by Firestone in 1947. I have acquired a lockheed folder from a estate sale of a retired lockheed engineer on this XR-9 (lots of info and 8X10 photos) .... I will be selling this item soon ......send me a email if interested ........THX JOHN ..
you can see the twin cockpit blisters of the C-74.